Spring means more to me than nature’s re-awakening after its winter slumber, though. It also marks an anniversary for me, one of a spiritual and emotional turnaround after a bout of situational depression. My poem “Eve of Spring” talks about this a little bit. If you’re interested, you can read the poem here or here. Stacking The Shelves, Vol. 9: Giveaways, Purchases, & Perks – Oh, My! First of all, thank you SO much for your feedback on the title for The Keeper’s Curse! I’m trying hard not to get too attached to the title, since I know it could still change later on. But I’m thrilled that it works from a reader’s perspective as well as a writer’s, and it makes me even more excited – and impatient – to start working on Draft #2 revisions on April 10th. While we’re on the subject of TKC, I was wondering if you could do me a favor. I’ve created a landing page for TKC to give readers a more firm idea about the story. Could you let me know what you think about the “attempt” at a jacket-copy summary? Is it intriguing? Too wordy? Missing something that would make it even more attention-grabbing? I’ve enabled comments, so feel free to respond directly on that page. 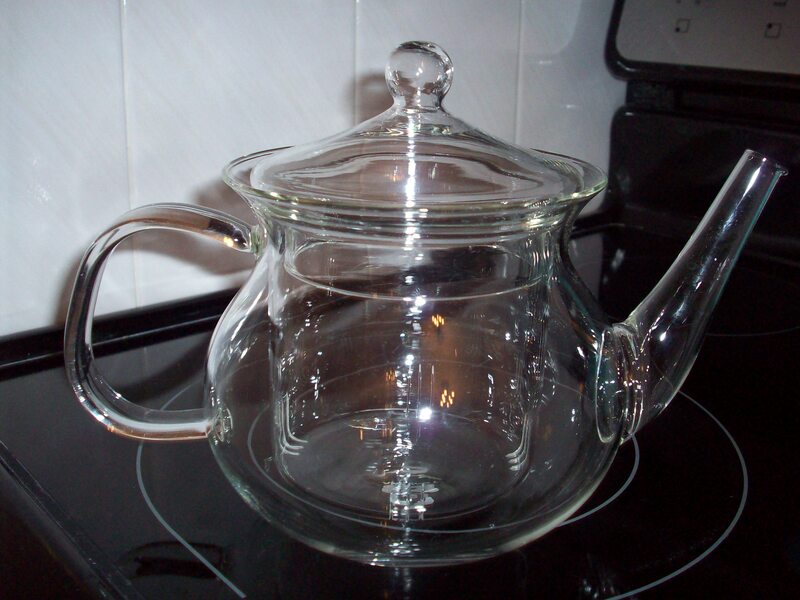 In the tea realm – look at that glass teapot! Isn’t it purdy? 😀 Two of my upcoming review samples for A Bibliophile’s Reverie are blooming teas, so I needed to buy this kind of teapot specifically for brewing those samples. Blooming teas, or flowering teas, are small bundles of tea leaves (usually green or white) and flowers sewn together that unfold when immersed in water. The result is a delicate, floral tea – and a huge, blossoming flower. So, there’s a visual aesthetic to blooming tea that makes glass teapots the ideal method for brewing this kind of tea. Should be fun! Last but not least, I saw “Insurgent” last week. And… ehhh. They basically made a bunch of changes that stripped the story of whatever soul it had in the book version, and ended up with a sci-fi action film with lots of cool SFX but a boring plot. So I’m not going to waste more money on the movie franchise. And I just started reading Allegiant on Saturday, and (apart from $$$$$$$$$) I see no reason why they should be splitting this finale into two films. I just got this random idea to share a song I couldn’t stop listening to in March. If you’re a fan of melodic or alternative rock with female vocals, you might want to check out EarlyRise’s music. This is the first single from their latest album Colors. The next Time Flies is scheduled for Thursday, April 30th. Until then, have a beautiful month! Oh thank goodness, April. I am SO ready for spring. About the Divergent film series… Honestly, I recommend skipping it. Divergent the movie wasn’t too bad, apart from some stiff acting. Insurgent the film disappointed me, though. They emphasized the SFX too much, eliminated most of the Tris-Four tension, and basically turned it into an action movie with no soul. *shrugs* And then there’s Allegiant, which I finished yesterday… That will be interesting to review. Yeah. It’s difficult for me to give a more positive stance on the series right now. I agree, splitting Deathly Hallows into two films was both brilliant and necessary. Don’t know about Breaking Dawn; I quit the Twilight series after the second book and have no interest in watching the movies. The only other comparison I can make is Mockingjay from THG – and that was a bad decision, IMO. Part 1 was a drag, and I’m not planning on watching Part 2. Haha I understand! I’m still not over Percy Jackson and the Lightning Thief! I’m looking forward to your photos of blooming teas, as I hear they are beautiful! One day I must try some. Oh and I so agree with you concerning the films. So much seems to be action driven and no soul lately, sadly. It sounds like you will have a lot going on this April here on the blog and with TKC; looking forward to it! We’re definitely getting there with spring. At least there’s less snow on the ground now. Just some piles here and there now – but also muddy, thanks to all the snow melt. I’m looking forward to the blooming teas as well! Brewing those will be a neat experience – as long as I follow the directions correctly. 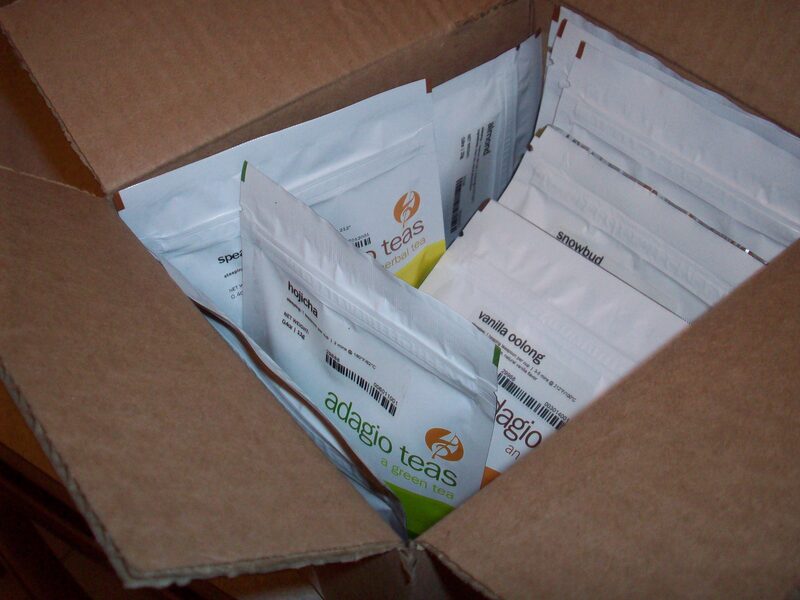 *lol* I’ll try to remember to take a couple pictures to go with the blooming tea reviews. You know, the funny thing is, even though I have a lot planned, it doesn’t really seem like it. Maybe because it’s become the norm for me…? It’s hard to explain otherwise. Yes, please do take photos!